Following last night’s big old clear out at the Isle of Wight Conservative Association, here’s what David Pugh’s got to say from the top seat. OnTheWight also asks Chris Whitehouse a series of questions to see if he’ll back up his talk with actions, re: exiting the Conservative fray? 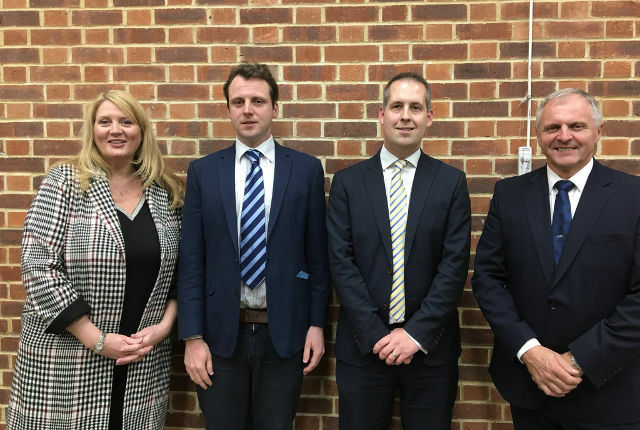 At last night’s Isle of Wight Conservative Association (IWCA) AGM, members voted for a new team of Officers. Former Isle of Wight council leader, David Pugh, was elected as chairman of the association, with former Isle of Wight councillor for Lake South, Ray Bloomfield, as his vice-chairman. OnTheWight understands that former Chairman, Ian Ward, could have stood for another year. Joe Robertson, who put himself forward as an election candidate hopeful in last year’s general election, has been appointed as Deputy Chairman (Political), whilst Wendy Murwill has been appointed Deputy Chairman (Membership & Fundraising). “The Association plays a crucial role in promoting the Conservative cause here on the Isle of Wight. Whitehouse to leave the Conservatives? 1. Please put a figure on how many councillor colleagues, like you, “would find it impossible to continue to serve as a Conservative”? 2. The wording “would find it impossible to continue to serve as a Conservative” is woolly and open to mis/interpretation, please detail what this means practically? 3. What actions do you intend to take? 4. Do you intend to resign as an Isle of Wight councillor? Update 10 Apr 2018: As yet, OnTheWight has received been no response from Cllr Whitehouse, but he did issue a statement on the Saturday after the new appointments where he claimed he would be, “suspending all my active involvement with the Isle of Wight Conservative Association for a minimum period of 6 months”. How this addresses Cllr Whitehouse’s previous statement that he, “would find it impossible to continue to serve as a Conservative,” while David Pugh was Association Chairman is unclear. As yet, there’s been no public statement from the “many councillor colleagues” that Cllr Whitehouse held the same conviction. 22 Comments on "David Pugh now heads new team at Isle of Wight Conservative Association (Updated)"
We’re DOOMED…..DOOMED I tell ya! What next for what is left of our Island… County Hall painted blue, Blue road lines instead of yellow.. Paint the trees blue and a 20mtr statue of ‘The great Destroyer’. Private Eye… Fill yer boots,, it’s all yours! Given that there is nothing going well on this Island at the moment – I look forward to seeing what Pugh can make worse. Block8, be *very* careful what you wish for! Who could predict the massive downturn in the world economy though? I strongly disagree that IW roads have suffered. It is a pleasure to drive around this island. Compared to the mainland where one has to be constantly on alert for potholes, Island Roads have done a fantastic job. I appreciate they have not completed the task, but the main roads are strikingly better than those over the water…. Yup, I get that ThomasC, although my understanding is that it was money from government, specifically ring fenced for the roads, and was money that we wouldn’t otherwise have got. So it is not depriving the our schoolchildren, or our pensioners, or anyone else. I climbed onto my Time Machine last night and whizzed forward to December 2018. ‘David Pugh (aka ‘The Kiss of Death’) oversees collapse of IW Conservative Association’. I think we need someone to resolve the infrastructure issues on the Isle of Wight in total. I feel a caption competition would be appropriate. How about “Spot the ball competition”? Did you omit a plural there, Colin? I read on another local news feed (after wading through the plethora of adverts) that Cllr Whitehouse has indeed stepped aside (well, almost) from IW Conservatives. So all credit to him – now let’s see how many of his “several colleagues” follow his example. Is that really the best they could find? Obviously was always the plan. No, because someone must have thought Cllr Ward the best before he stood down. Now that’s even more worrying.